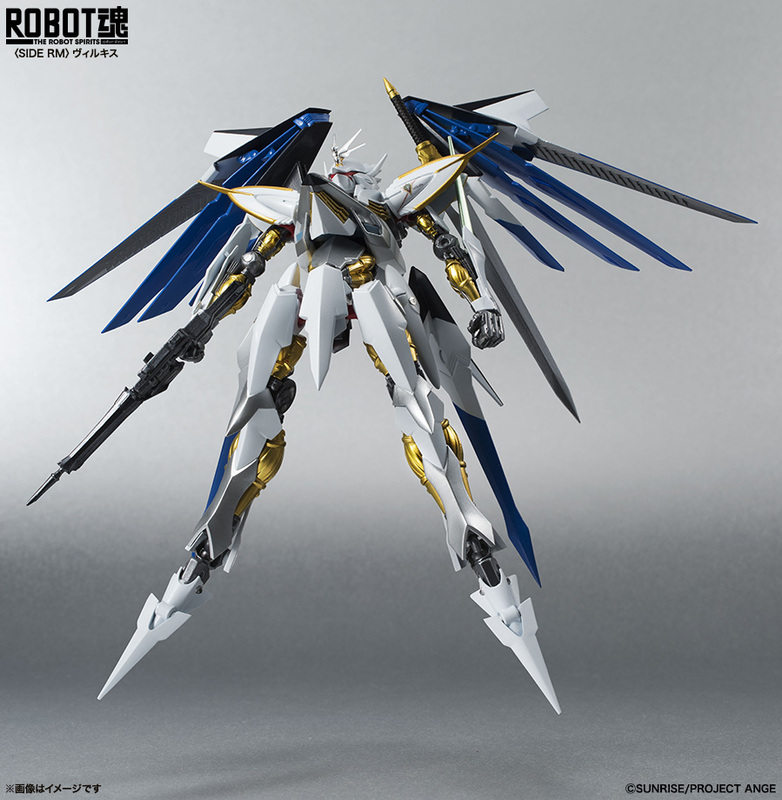 The Vilkiss is a Ragna-Mail piloted by the titular character of Cross Ange. 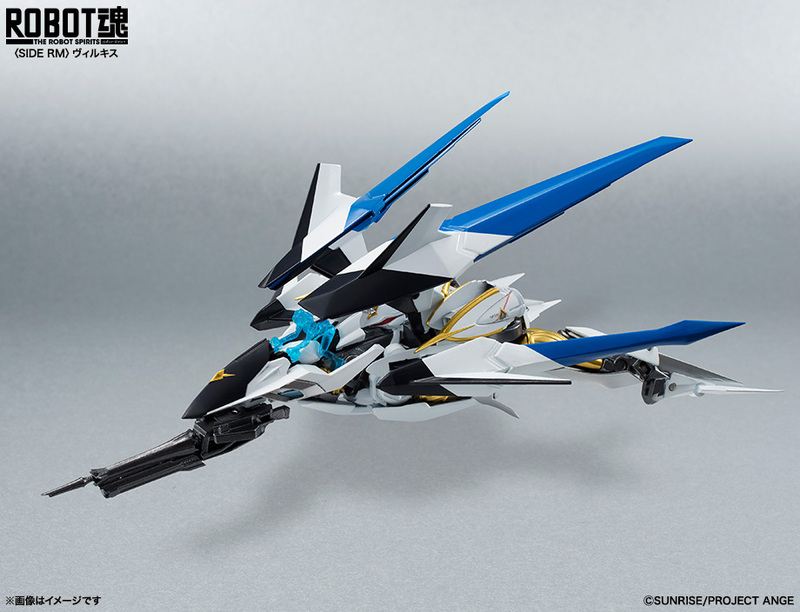 It can transform from Destroyer (humanoid) mode to a compact Flight mode. It comes equipped with a sub machine gun and a sword. Coming August 2015 for 8,500 yen. The Vilkiss is coming to the states courtesy of Bluefin Tamashii! 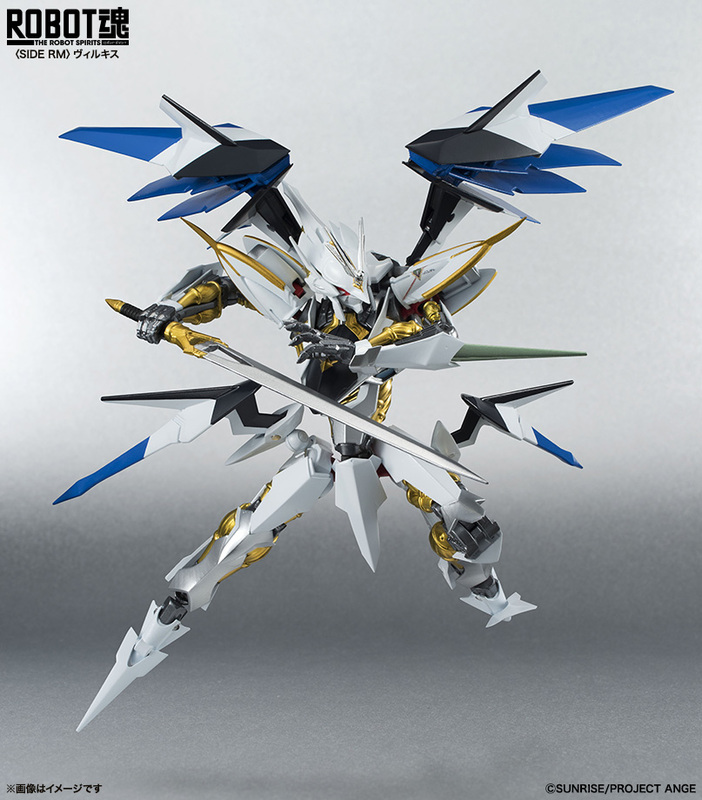 "From the newly popular anime Cross Ange, comes the mecha star of the show and ‘Weapon of God’, the mighty Villkiss. The complexity of Villkiss's fighting and flying forms are kept intact while simultaneously portraying meticulous design and coloring. 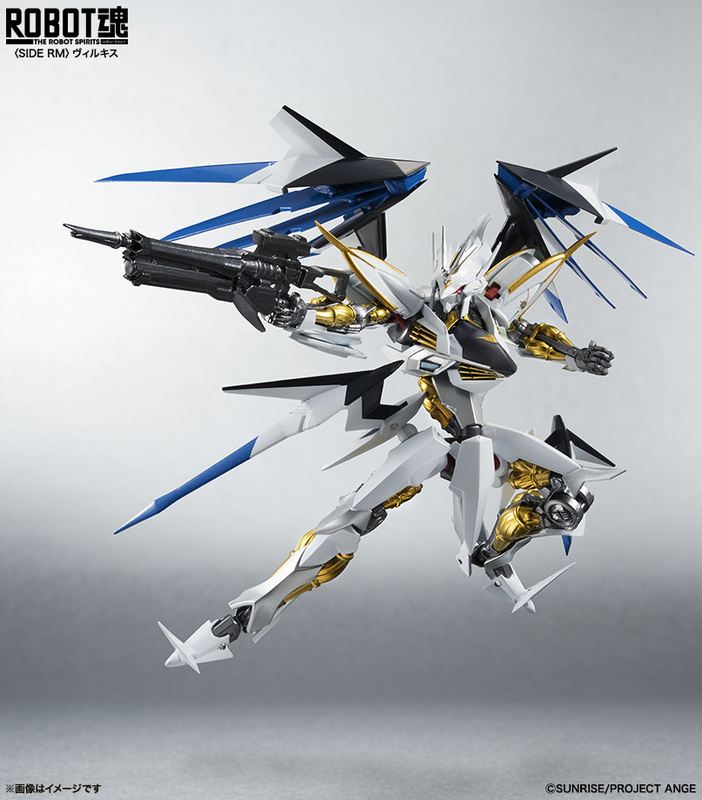 Set includes interchangeable hands (x5), sword, rifle (x2), sheath parts, flight mode core parts, and clear Ange figure." MSRP is $71.99.